Cauliflower rice is the perfect way to get in an extra helping of veggies. Cauliflower rice tastes just like white rice but with none of the guilt! Cauliflower Rice is one of the best healthy food switches. Cauliflower rice makes a perfect substitute for white rice and it’s totally up there with zucchini noodles and cabbage noodles. Rice and noodles are my comfort food, so being able to enjoy them guilt free is super awesome. We like to serve it with stir fry, make cauliflower fried rice, or taco bowls, or use it as a base for ground beef stroganoff and my favorite chili recipe! 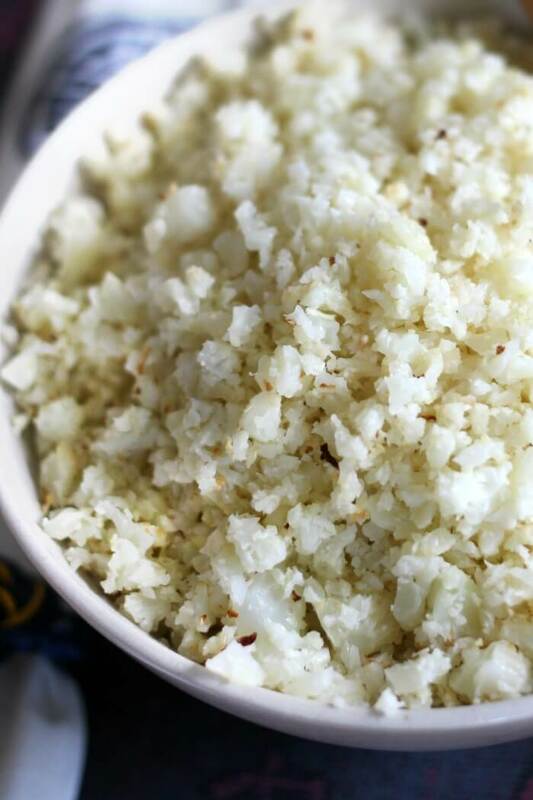 Cauliflower – fresh cauliflower works best in making cauliflower rice. 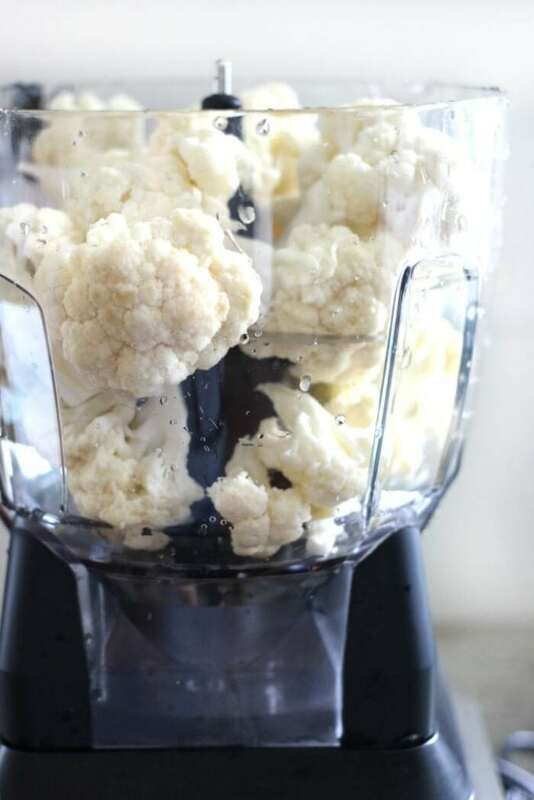 Cut the florets off the head of cauliflower, then pulse the florets in a food processor or chop them finely with a sharp knife. 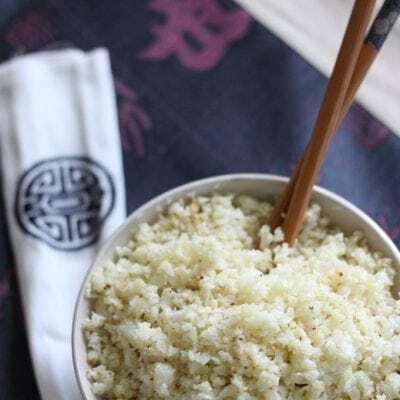 Oil – I use just a tiny bit of oil to help brown the cauliflower rice – you can skip the oil if you want to avoid the fat or calories, but a small amount helps with both flavor and texture. 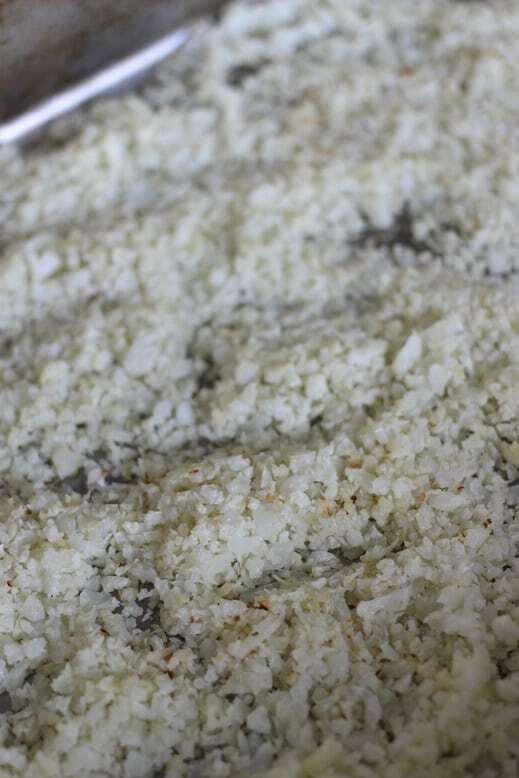 Cauliflower rice is cauliflower cut into rice size pieces and then cooked. It is used as a substitute for rice. 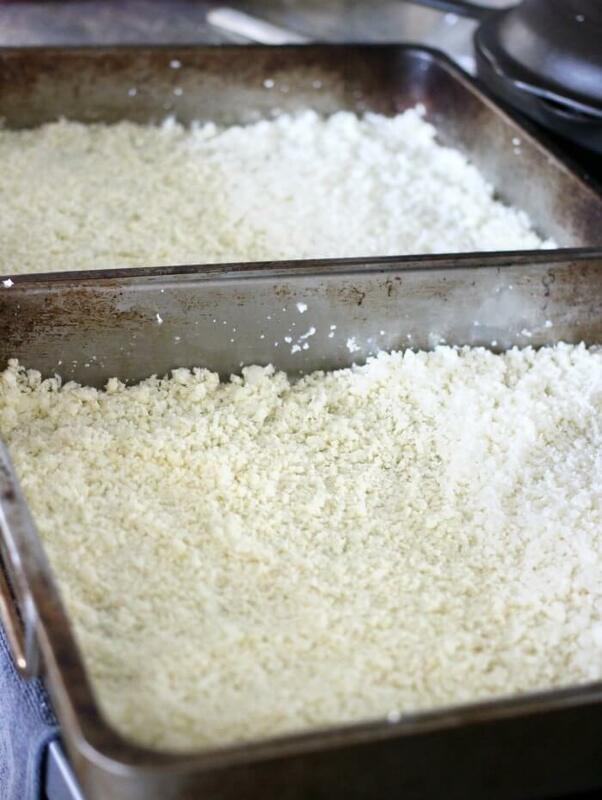 Cauliflower rice is gluten free, grain free, and full of vitamins and minerals. When I first started making cauliflower rice, I would do it on the stove top. But much like my bacon in the oven adventures, I figured there had to be a better (easier!) way. And, of course there is. Now, I can pop it in the oven and go busy myself with other things. My favorite kind of cooking! 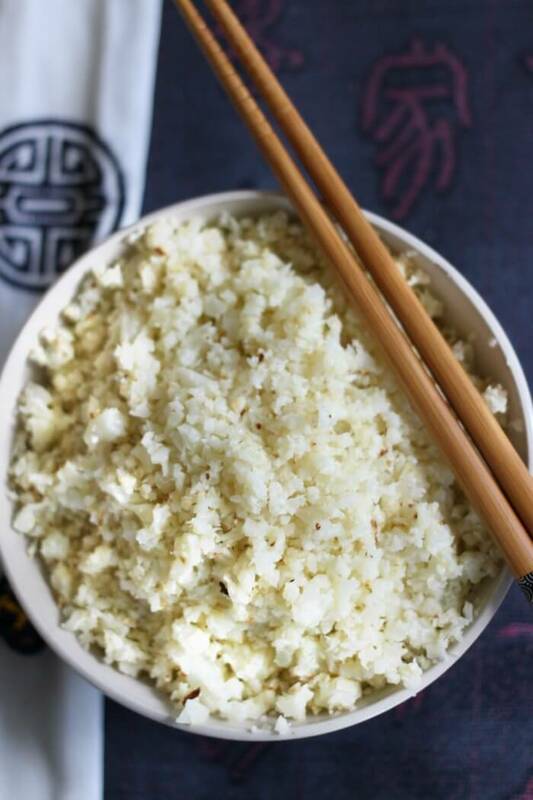 Roasted cauliflower rice doesn’t taste exactly like white rice, but it does have a nice mild, slightly nutty, flavor, and the right texture to replace rice in most dishes or to eat on its own. 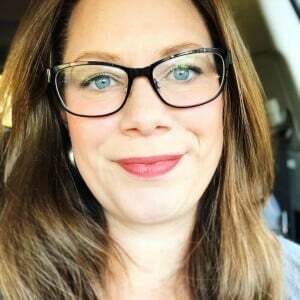 My kids even like it, and that’s a darn good litmus test! We like to use it to make cauliflower fried rice, cauliflower taco fried rice, and stir fry over fried rice! You can buy cauliflower rice in the freezer section of many grocery stores, as well as at Costco warehouses. Occasionally I have also seen cauliflower rice in the refrigerated area of the produce section at our local market. 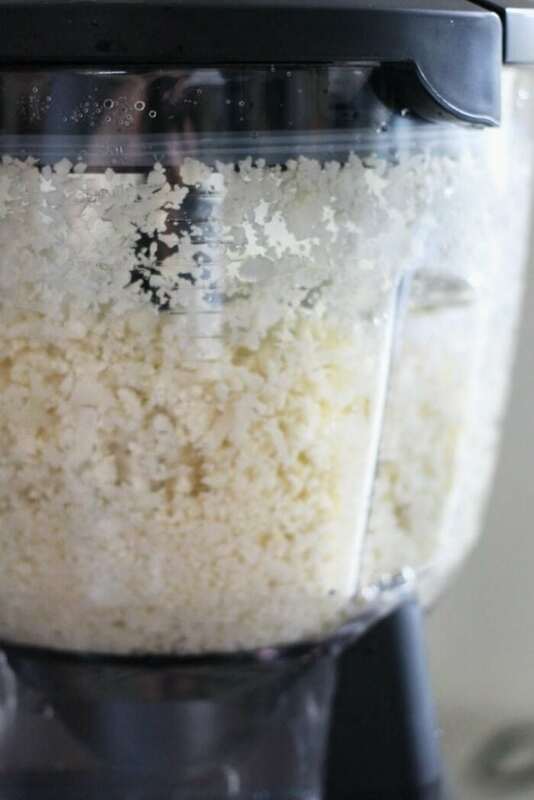 Even though you can buy cauliflower rice, I suggest making it yourself because it is so incredibly easy and a lot less expensive. Also, you can make extra to freeze in advance if you don’t want to drag your food processor out every time! Cauliflower rice is very good for you. 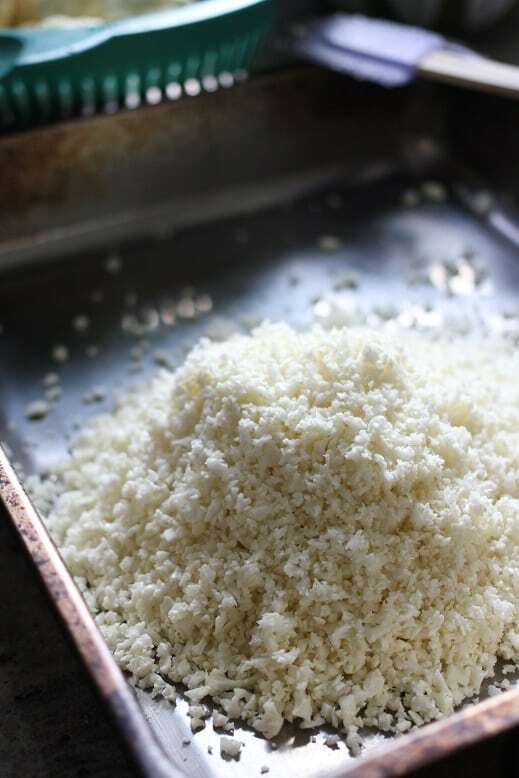 Cauliflower rice is made only from cauliflower and a small amount of olive oil (which you can even skip if you like). There are several ways to cook cauliflower rice, but I find the easiest and most effective is by roasting in the oven. Some folks will pan fry, steam, or even microwave cauliflower rice, but that’s not the easiest way to get the best flavor. To get the best flavor with the least amount of work you’ll want to spread the riced cauliflower on a baking sheet and roast for a few minutes at a high temperature. If you find it’s cooking faster on one side, use a spatula to mix the cauliflower around a bit halfway through. 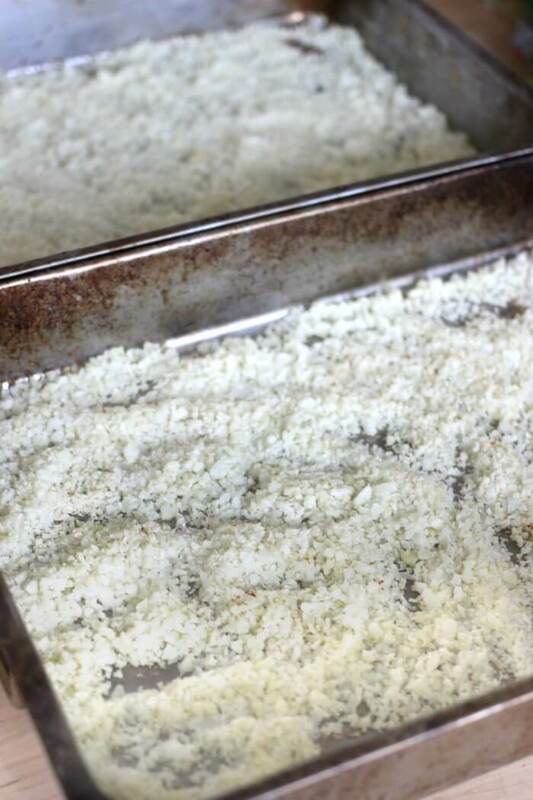 Keep cauliflower rice refrigerated in a sealed container after you make it. It will last in the refrigerator for about five days. I like to reheat it in the microwave or toaster oven. Sometimes I eat it with a little bit of butter, or mixed in with my turkey chili for a super healthy low calorie/low point (if you’re on Weight Watchers) lunch. 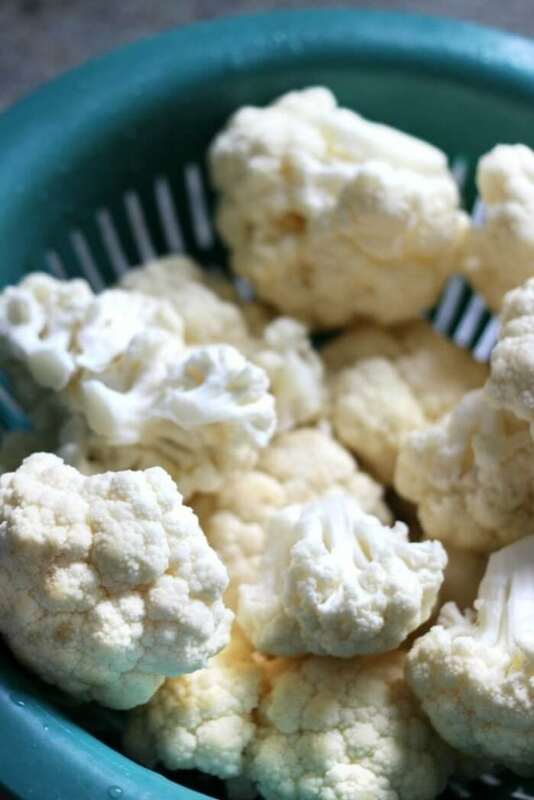 You can freeze cauliflower rice either before or after it is roasted. I prefer to freeze it before it is cooked so as not to risk overcooking it the second time. Try to freeze it as flat as possible, perhaps in a freezer bag laid flat, so you don’t end up with a giant block of frozen rice that is difficult to use. If you’ve ever purchased it frozen from the market, you know this is usually how it comes. You can also watch us make this cauliflower rice on YouTube and taco bowls! Make sure to tune in for all our live cooking shows! Cauliflower rice is the perfect way to get in an extra helping of veggies. Pulse florets in your food processor until they are about rice-sized (you may need to do this in two or three batches). Pour "rice" onto baking sheets (I use two sheets per head of cauliflower) and drizzle lightly with olive oil. Toss until olive oil is well incorporated, then spread into a thin, even layer. Roast on the middle rack(s) at 425 degrees for 15 minutes. Toss and re-spread, then roast an additional 5-10 minutes, until cauliflower is starting to brown. This is really interesting. As a rule I hate cauliflower, but I do like it cooked and pureed into things like soup. I'm willing to give this a.go out of sheer curiosity lol. 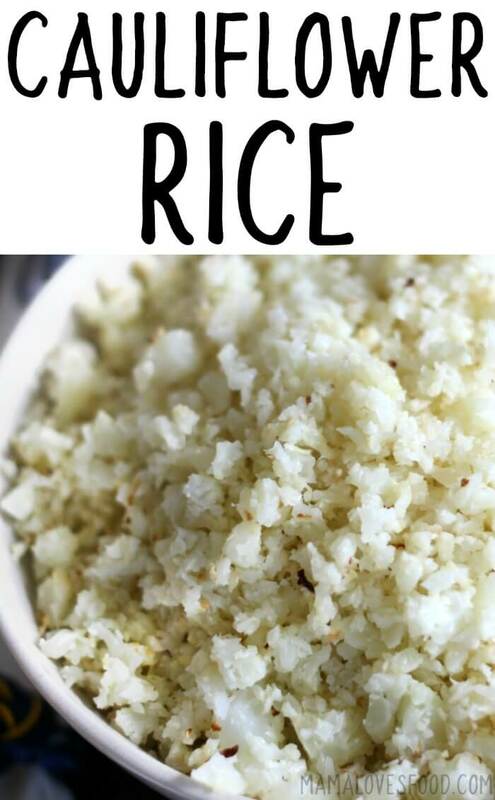 This is the perfect cauliflower rice recipe! Love that it’s roasted! I am going o make this! It sounds so easy and good!